Nebraska leads the nation in most National Football Foundation (NFF) & College Hall of Fame National Scholar-Athletes, and senior co-captain and linebacker Chris Weber from Elkhorn, Nebraska, increases the list with his inclusion in this year’s class of 13 finalists for the 2017 William V. Campbell Trophy. Each of the 13 will receive an $18,000 postgraduate scholarship and will travel to New York City for the 60th NFF Annual Awards Dinner on Dec. 5. The winner of the Campbell Trophy will be announced then and receive an additional $7,000 on his scholarship. Weber, part of the Huskers’ walk-on tradition along with five others among the 23 all-time, leads the team with 66 tackles, including six for losses, and has five pass break-ups. He had a season-high 12 tackles, including one for loss and two pass break-ups, in Saturday’s 25-24 victory at Purdue. Weber has a 3.96 grade-point average in nutrition science and has already been accepted into medical school at Nebraska. He’s a two-time Academic All-District selection and a three-time Big Ten Distinguished Scholar. He has earned a place on the Nebraska Scholar-Athlete Honor Roll all eight semesters – he redshirted – and has been an Academic All-Big Ten selection the last three years. He is among just two from the Big Ten on the list of 13. The other is from Saturday’s opponent, Northwestern, running back Justin Jackson, who has a 3.23 GPA in economics. The last Husker to be so honored was offensive guard Spencer Long in 2013. 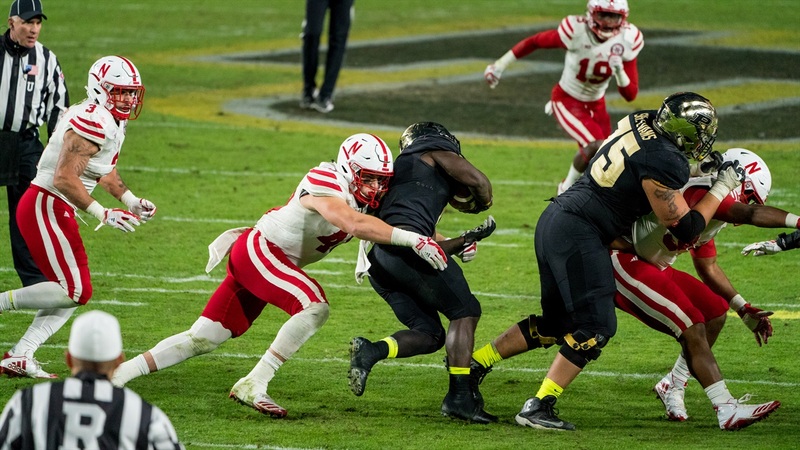 Long also came to Nebraska from Elkhorn as a walk-on and was a co-captain his senior season.